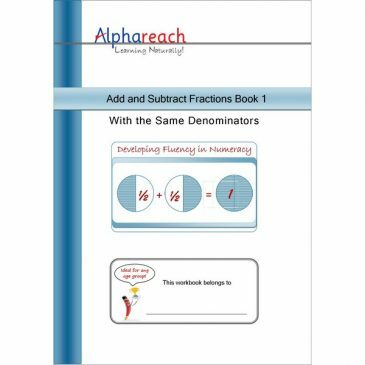 Each of the three workbooks illustrates with step by step guide and has numerous examples to reinforce the idea of adding and subtracting fractions in different context. Book 1- Adding and subtracting with same denominators. Book 2 – Adding and subtracting with different denominators. 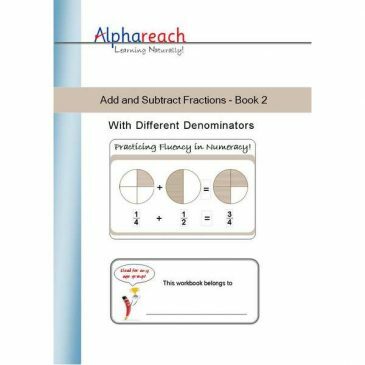 Book 3 – Adding and subtracting with improper fractions. Product Category: FRAS1 Pages: 32 | Size: A4 Suitable for: Key Stage 2 – ages 7 to 11 ISBN: 978-1-912585-47-2 Expected delivery time: 1 to 2 weeks. Product Code: FRAS2 Pages: 32 | Size: A4 Suitable for: Key Stage 2 – ages 7 to 11 ISBN: 978-1-912585-48-9 Expected delivery time: 1 to 2 weeks. Product Code: FRAS3 Pages: 32 | Size: A4 Suitable for: Key Stage 2/3 – ages 7 to 14 ISBN: 978-1-912585-49-6 Expected delivery time: 1 to 2 weeks.